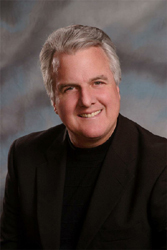 Originally founded in 1998 by Dr. Patrick Williams, MCC, to train counselors, psychologists, social workers, The Institute for Life Coach Training continues to be a leading international provider of coach training, having trained thousands of professional coaches throughout the world to transition their skills into coaching. Its strong roots in social sciences also makes it an excellent choice for those who have no prior training or experience in behavioral health, but are passionate about working with others. Those who are interested in acquiring coach training skills for use in business, education, or other industries will find that the ILCT’s training programs provide the perfect mix of theoretical and experiential learning for application in a wide variety of venues. ILCT was one of the first coach training programs to be accredited by the International Coach Federation and was the first coach training program selected by the Center for Credentialing and Education for graduate level professionals pursuing the Board Certified Coach credential. The Institute’s rich heritage and its commitment to excellence allows us to attract and retain a highly accomplished faculty, many of whom are dually trained and qualified in traditional helping professions as well as coaching and experts in their areas. ILCT’s elective courses cover a wide range of topics to help students build their coaching practice, including 6 coaching specialist certificate programs for students who are interested in specializing in a specific area of coaching, including Business, Christian, Career Development, Life, Relationship, and Wellness Coaching. Read ILCT Founder Pat William’s article about his journey into coaching, Confessions of a Psychologist-Turned-Coach. Advantages of Training with ILCT?